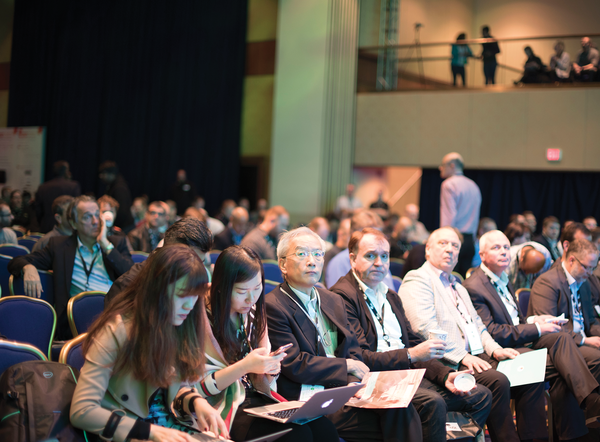 SUSECon 2016 took place in Washington, DC, in the same week as the US presidential election. An interesting piece of trivia: the openSUSE conference was held in the UK during the vote on Brexit, and they voted to leave. 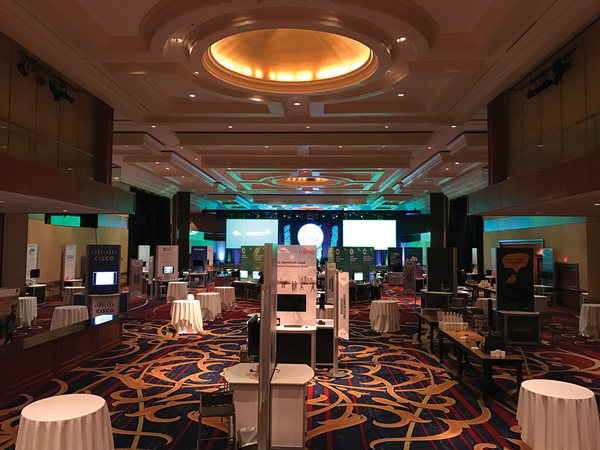 SUSECon 2016 took place in Washington, DC, in the same week as the US presidential election. An interesting piece of trivia: the openSUSE conference was held in the UK during the vote on Brexit, and they voted to leave. And then the US voted for Donald J. Trump. I told the SUSE executives that they should stop interfering with the political process of other countries. DC is just 20 minutes from my home, so I attended all three days of the conference and also cast my vote. I was at the venue every morning at 8:00am because, unlike previous years, they didn't have one long keynote on the first day. They split the keynote discussions into smaller sessions spread across the three days. The overall theme of SUSECon this year was "Define Your Future." SUSE is a big player in software-defined technology, whether it be compute, storage, or networking. Michael Miller, president of Strategy, Alliances, and Marketing took over the stage and explained that, by splitting the keynotes into three smaller sessions, they could focus on one topic each day. The first day was "Time to Transform," the second day was "Adapt to Win," and the third day was "Down with Downtime." Miller mentioned that the previous SUSECon included 120 sessions. This year's event had more than 150 technical sessions, which amounted to 900 hours of technical sessions and about 100 hours for hands-on training. The agenda also included five certification courses. As usual, visitors could walk through an expo with booths and kiosks for SUSE partners and projects. After his opening keynote, Miller showed us a SUSE video, a parody of "Can't Stop the Feeling" by Justin Timberlake. 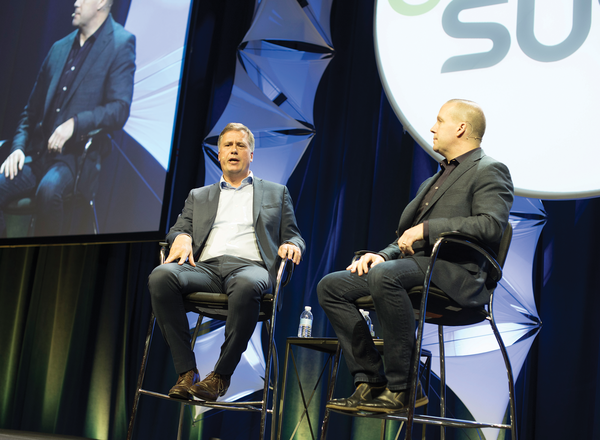 Nils Brauckmann, SUSE's chief executive officer, joined Miller on the stage, and the two talked about SUSE's growth in the past year. Brauckmann said that SUSE revenue growth was 18%. While SUSE grew in all geographies, North America grew the most. Revenue from North America was up 20%. From route to market, public cloud was the fastest growing route for SUSE. Brauckmann also talked about the first technology acquisition SUSE made in years. SUSE acquired OpenATTIC, a storage technology company that will further strengthen SUSE's storage offerings. In an interview, Brauckmann told me that SUSE will be looking at more acquisitions because organic growth of technology from within a company can take longer. In order to respond to the market, it makes more sense to acquire technologies and talent from the outside. Brauckmann hinted at some potential acquisitions around Cloud Foundry and OpenStack when I met with him in November, then in December, SUSE announced that they were indeed acquiring HPE's OpenStack and Cloud Foundry assets. On stage, Brauckmann said, "We made a conscious decision to take multiple approaches to grow the business instead of just relying on organic growth, and technology acquisition is just one option." Brauckmann also stressed that open source software is very important to SUSE. "For SUSE, open source is more than just making source code available; it's also about being open to mix and use technologies by different vendors so all the technology is not just from one vendor." His point was that, unlike some competitors, SUSE gives customers the freedom to use whatever technologies they want to use with SUSE products. After Brauckmann, Scott Farrand, HPE vice president of Platform Servers, joined Miller to talk about the work HPE and SUSE have done around software-defined storage and SAP HANA. On the second day, Miller sat down with Dr. Thomas Di Giacomo, who recently joined SUSE as Chief Technology Officer. Miller gave him a nickname: Dr. T.
Dr. T. and Miller talked about how SUSE is growing its technologies to address all three primary components of modern IT infrastructure or cloud: compute, storage, and networking. SUSE is already a strong player in compute. SUSE is also growing its storage portfolio, and they are now getting involved with many software-defined networking technologies and software-defined storage. Dr. T. and Miller talked about SUSE OpenStack and Kubernetes, and they touched on how SUSE is engaged with Cloud Foundry. They also talked about a new operating system, called Micro OS, which SUSE is working on. Dr. T. mentioned that SUSE had all the tools and technologies required for DevOps even before the term DevOps was coined. Katsue Tanaka, Fujitsu senior vice president and head of Platform Software Business Unit, joined Miller on stage. Miller tried his hand at a Japanese welcome for Tanaka. Tanaka stressed how SUSE and Fujitsu have been working together for more than 20 years. They also announced a global strategic alliance between SUSE and Fujitsu to develop and support open source projects. Fujitsu is known for offering mission-critical solutions to organizations, and it has been a heavy user and contributor to open source and Linux. Miller then invited Figen Ulgen, general manager of HPC Platform Software at Intel. Ulgen talked about the 24-year relationship between Intel and SUSE. The two companies are currently collaborating on the OpenStack private cloud, and they work together as part of the Intel Open HPC community. While Miller was drawing scary science fiction scenarios, Ulgen talked about how AI and machine learning will improve quality of life. They also talked about Intel HPC Orchestrator, a modular system platform that takes the complexity out of building HPC systems and reduces the time necessary to implement an HPC system. On the third day, Miller sat down with the president of Engineering for SUSE, Ralf Flaxa, and talked about SUSE tools that allow customers to use technologies to minimize downtime. Flaxa also explained why customers need high availability. Kathy Herity-Bennett, vice president, IBM Systems Ecosystem development and support at IBM, talked about how some 15-16 years ago, Linux emerged as an enterprise platform, running many mission critical applications. Then a new generation of applications arrived that were born on Linux. Herity-Bennett is not new to SUSE. She has been working with the SUSE team since 1999. She talked about bringing the Linux kernel to IBM's Z platform and Power platform. She also talked about the work IBM and SUSE do around SAP. The focus of the talk was around "zero downtime," including SUSE technologies that improve availability. The final keynote guest was Brian Vink Sr., SAP vice president of Data Management Products, who talked about the 16-year SUSE/SAP relationship. He mentioned that SUSE was the first OS certified on SAP HANA. Vink also noted that SAP uses SUSE OpenStack Cloud in all of its SAP data centers, and it is the recommended platform for HANA. On the last day, Erin Quill and the SUSE Team presented Demopalooza, which showed the power of Salt on Raspberry Pi running SUSE Linux Enterprise. During Demopalooza, SUSE gave away a Raspberry Pi 3 (RPi3) Model B and access to SLES SP2. Unfortunately, the RPi3 didn't come with a MicroSD card preloaded with SLES SP2. In October, when Micro Focus, the parent company of SUSE, announced that they were acquiring the software business of HPE though a spin-merger, stories floated that HPE was acquiring SUSE. When I sat down with Brauckmann, I asked about such reports, and he was visibly upset. He reinforced that it is Micro Focus that is acquiring the business units of HPE and the Micro Focus executive team would be in control of Micro Focus after the merger. Later in December, when SUSE announced that it was acquiring the Cloud Foundry and OpenStack assets and talent from HPE, it was quite clear that earlier reports were not true: SUSE remains intact. In fact, SUSE is now the owner of some open source technologies from HPE. During SUSECon, SUSE also announced official support for SLES SP2 on RPi3 Model B. That makes SLES SP2 the first enterprise-grade, 64-bit operating system for Raspberry Pi. The arrival of SLES SP2 on RPi3 also means that openSUSE Leap 42.2 and openSUSE Tumbleweed will also be supported on RPi3 Model B. 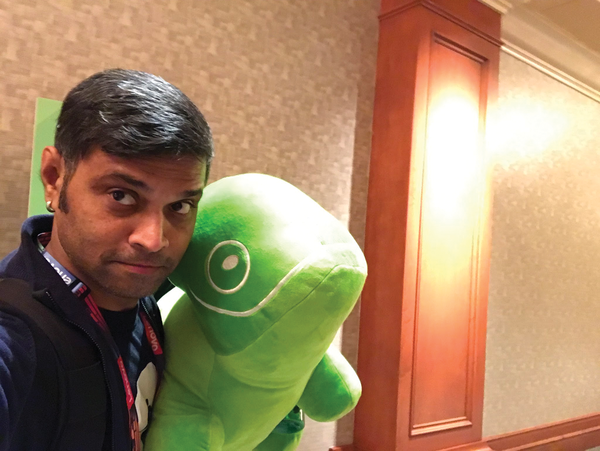 Over the course of three days of SUSECON, we talked to Richard Brown, the friendly chairperson of the openSUSE Board.